For productivity users, handling docs from various sources is important. PDF is really the most ubiquitous of all the docs and a sort of cottage industry has evolved around the need for editing or marking these up or just plain document search. iBooks recently received an upgrade in 9.3 to allow PDF sync, but some of it does not work the way it does for EPub or Mobi. These improvements are very welcome and will lead me to shift away from Google Books right away, but iBooks needs some improvement before I find it reliable enough for all of my PDF use. I can’t help but think that iBooks needs some way to hook into the various other places I keep docs and that it can be a good place for keeping other personal documentation given a better ability to classify and sort the docs. Real document management would be something worth buying all in with iBooks. Storage PER DEVICE – if I own all these products, why wouldn’t Apple give a minimum amount of iCloud storage per device so that I can accumulate storage per active device? I’m probably going to buy iCloud storage anyway because I’ve found I really do want to store more photos and files, but the current 5GB limit per user is as laughable as a 16GB iOS device is for anyone who wants to store more than a handful of photos, songs, and games. iOS needs to improve its sync and deletion for messages and notifications across devices. Why do I need to delete or read an iMessage on my iPad when I have already done so on my iPhone for that exact object? In the majority of cases (not all), when I mark something as read on my Apple Watch, it is also marked as such on my iPhone. Ditto for notifications status sync – if I read it on my Mac why is the notification still there on my watch or iPad? Something is being lost in translation between these devices and fixing this would mean less wasted time and confusion. I knew going into using a 6/6S Plus device that parts of the interface would be out of reach of my right thumb, requiring me to use two hands to operate. While I do have a unique way of holding the phone one-handed, it is a bit precarious and has caused some scary falls. I’m sure this will result in heartbreak at some point no matter how much protection I have on my phone and I think Apple can make changes to improve that for everybody. Improving reachability range without using Reachability seems to be a challenge because Reachability itself seemed to be a stretch (no pun intended) of a solution. I have long since turned off Reachability because I constantly triggered it accidentally. I would instead prefer that screen elements be laid out more intelligently. There seems to be no good reasoning why some interfaces require buttons on the bottom and others require the same buttons at the top, but generally putting buttons at the top of the interface is a bad idea on the larger phones. It should be common custom that buttons which would be part of a flow should not require you to go back and forth across the interface if they are meant to be clicked or pressed in quick succession. A real RSS based iCloud news service is needed, one that is baked into the OS to combine various services from around the interface such as Reading List and News and third party feeds such as Instant Articles. Reading List on its own is very buggy and doesnt let me make mass changes without immediately falling into the “syncing bookmarks” problem when I try to do two things in rapid succession making it pretty unusable. This is undoubtedly due to the fact that Reading List is tied to the Safari bookmarks which seems like a very poor choice. It is time to move it into iCloud Drive and stop the frustrating madness. Aggregation is key to giving users a single interface to call home and dominate the attention. The river of news is still an important concept, and it is something you cannot get anymore from Facebook or Twitter because of how they no longer guarantee that posts will appear in order, just that they will appear in the most convenient fashion. Feedly, for example, keeps track of all the stories from feeds and doesn’t miss anything, even if I miss a day reading it. I can still go back and read past articles I might have missed from the day before. I find that a lot of news apps miss that point and only show you what is relevant at exactly that moment because they are actually catering to advertisers and eyeballs. I like keeping up to date – having one place to view it in makes life easier. There is still value in yesterday’s news even in politics and sports. Music organization on the iPhone is very disorganized right now. The fact is that people try out and purchase content on different services and Apple should try to unify that with a common API. Spotlight search is a step in the right direction but there is more that can be done. Apple needs to stop pretending that its music app is the dominant one and that it shares the marketplace. While it is always shooting for knocking out the competition, they should at least not pretend they do not exist and instead try to make things easier for the customer. They should have a way of aggregating music search where owned music bubbles up above all services, or set a default/preferred (that’s why settings were called preferences, remember) music service that always shows above others. The reasons for having a preferred music service are varied and up to each person but those should be respected if the customer is really considered paramount. Audio output on iOS in general needs improvement. The device already plays beeps and other sounds, while I listen to a podcast or music while playing a game. Take that further and allow apps like YouTube to also play in the background while audio plays from other sources. What we really want is multiple audio channels a la Audiobus and at this point we really just want Audiobus support! I think that if the iPhone 7 gets rid of the audio jack it will be a major step backwards. I do not see the lightning connector as a good proxy for the headphone jack; lightning cables break way too often on me, I am now on my third pair of bluetooth headphones in one year, and I have yet to have a pair of EarPods go bad on me, no matter how badly I find them tangled and smooshed at the bottom of my bag. The long standing complaint of not being able to save MP3s etc directly to the Music app makes it a bad choice for some people. There are people who have legitimate needs to store mp3 audio directly on the device without having to go through a third party app. I think it not only promotes the Apple Music store but can be a further source of boosted income. We know that many people that pirate music go on to buy the content after having tried it, but where they do so is up to them. If Apple could guide these users within their own app, it can guilt them into buying it from them. By using some sort of Shazam style capability in the background, the device could identify files that represent music that is also sold in the Apple Music store and unobtrusively display something like an iAd that directs the person to the Apple Music store to purchase the content. All this requires some sort of safari download manager, but how much horsepower and extra size would that really need? How much trouble would it be to allow those files to be used directly in various places around iOS without requiring ye olde thyme method of our grandfathers with laptop or desktop iTunes syncing. Why is iTunes even still a thing? 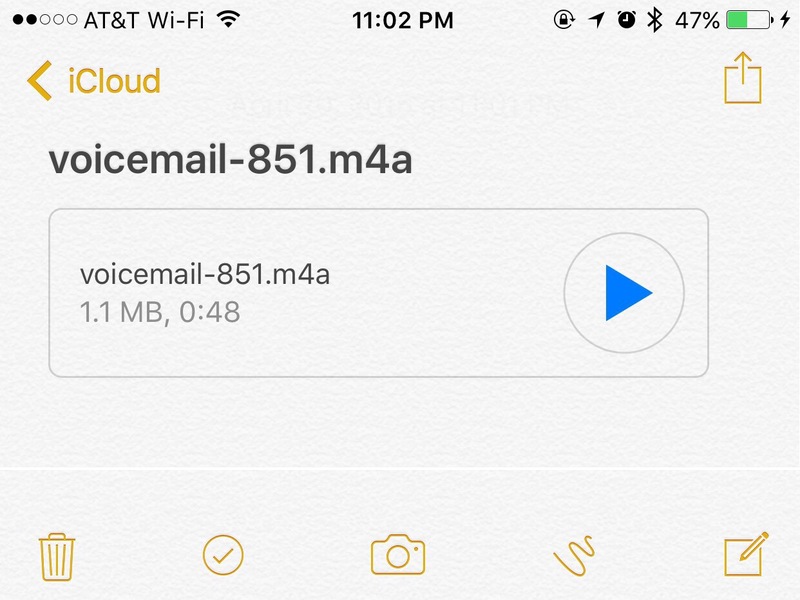 Allow draft working copies in Notes similar to mail app. You might think every note is a draft or no notes are ever drafts, but being able to classify certain Notes as works in progress is a bit of GTD. It’s obviously something you can do by tagging something @draft or some other personal system, but it’s really awesome to have something like that officially build in to show Apple being progressive. The ideas behind GTD would really benefit all. One of the great features about Drafts 4 is that upon opening the app, you can choose to have a blank note show so that you can start taking notes rights away. It seems that for iOS, the Notes app prioritizes syncing over quickly getting ideas onto the page. Evernote was pretty terrible about that too. Maybe that was my fault for letting too many ideas accumulate before I thought “hey I need to get these down before I forget them” and sure enough one of them would go back into the ether by the time syncing was done making things laggy. Notes takes too long to respond when you have a lot of notes in your account. Start notes right away! Making iOS Notes another social and collaborative app controlled by Friends rights is also something that can be a major step forward. Sure it would be great if there was sharing not just among your iOS pals but among the various others in your life. That’s what systems like OneNote and Evernote try to do; they are both systems I’m not keen on. The iOS notes app is where my ideas and notes live now. A standard that allows me to collaborate notes with other users regardless of their platform opens so many doors. Handwriting recognition is still a niche but it’s in a better place than it ever was in the Newton days. With the advent of the Apple Pencil for the iPad Pro line, it makes more sense for iOS than ever before. This is available in some great apps like GoodNotes but having an system level SDK could let it hook directly into apps like Notes. Transcribed voicemail first came on the scene with Grand Central before it became Google Voice. Years later, in typical Google style, it has not changed and the successful translation rate is very hit or miss. The poor quality of most calls, people not speaking clearly or even coherently, and over-abbreviated messages with repetitive poor information are to blame. My personal digital assistant needs to take a message for me while I’m out but most of the time my name is nowhere to be found even though most of my voice mails start out as “Hi Ernie”. Is Siri or any transcription yet up to the task? Apple has already gotten a black eye years back from the Maps app. This could be a horrible source of embarrassment but is a sorely needed feature. When will the breakthrough tech arrive? If you’ve found this series useful or insightful at all, please share as much as you can. The extra clicks really do help. This post continues my list of iOS 10 features I want to see. Click here for part 1, part 2, part 3, and part 4. Stop blocking the screen with the volume indicator. Volume indicator dots across the status bar. Obstructing the time momentarily is more acceptable than obstructing potentially time sensitive screen content such as video. This will be more important for VR as it becomes more popular. The current volume indicator takes you out of your visual experience, ruining the effect. Many video apps have a slider in a top or bottom corner for volume control, while others don’t (looking at you, YouTube). It’s not consistent and ruins the experience; video is video, present it to me in the same fashion. We already have movable elements on the screen like the picture-in-picture window, so why not add more for indicators? Use of a dark mode is now a common option in a lot of apps. I have grown to enjoy this feature in any apps where I’m doing extensive reading and I now even expect it as an option. I have even used it on the Mac for some time since it was released in 2014 with OS X Yosemite. I believe at this time, Apple could offer it across all the stock apps as a system preference. As someone who grew up with soothing green-on-black and amber-on-black screens of the first terminals that appeared in homes, this is a welcome and comfortable view of the screen. Apple has been very good about making the visual experience more soothing and combining this with night shift and true tone would really make the tablet reading experience more lifelike. Note dark mode is not the same as the reduced contrast view which just seems to indiscriminately flip light for dark in a stark and unnatural black and white interface. This naturally leads into themes. 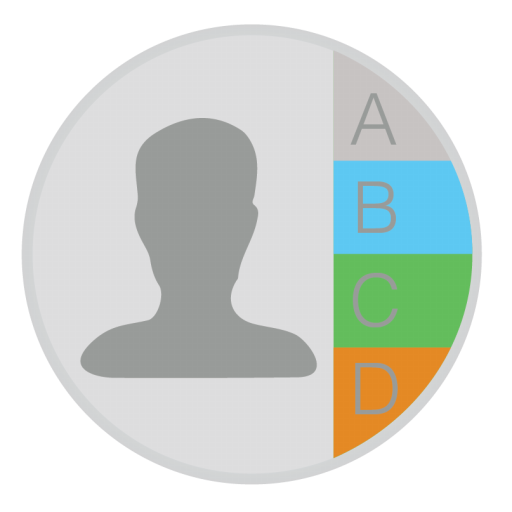 Everyone has their own personal preferences, so why not allow users to customize their experience their way? Why not allow someone to have everything pumpkin orange on a green background if they choose? At the very least allow approved themes, as long as dark mode is one of them. Obviously not all apps would benefit and this would detract from the seriousness of many apps. A lot of combinations would even be overly gaudy, taking away from the mostly curated look of the stock OS and device. Similar to Apple Watch face customizations, Apple needs to be careful in what is and is not allow to be themed. The share sheet icons for communicating between apps takes up a large part of the screen across the narrowest part of your device. By luck, the icon I want to use at any given moment is somehow always off-screen no matter how I rearrange the icon positions. Allowing the share sheet to alternately appear as a list view, like the Locations feature for email attachments, would give more options on the screen at once. The multitasking in iOS 9 is great as a first gen capability but in this next version it still needs a major overhaul. It seems like Apple did not expect so many apps to be on board with multitasking since finding the app you’re looking for can be annoying. The same sorting and search I mentioned for Notification Center should appear here or even a mini version of the home screen. Drag and drop between multitasks apps is such a natural was of sharing. Why put people through the extra steps of having to go through share sheets when the second app is already visible on the screen. Apple’s feature list is now large enough that most users are confused about what they can do, especially when features like multitasking do not have obvious manipulation handles on the screen. I don’t think such a visual guide for letting people know the feature exists but adding such a handle would crowd the interface more. I do think the devices now need an Explore app for major feature tutorials, similar to that on the Apple Watch app for new users. An app with videos that quickly explain a feature would keep users in the Apple ecosystem while learning instead of going off into YouTube for amateur presentations. If you like what you see in these posts, please take the time to share on social media. Thanks for reading! This post continues my list of iOS 10 features I want to see. Want to read the previous posts? Click here for part 1, part 2 and part 3. Notifications need better organization. I don’t mean having the ability to go into settings and change it as a preference but to change it on the fly as you are browsing the Notification Center. Right now we have Today and Notifications listed in Notification Center. 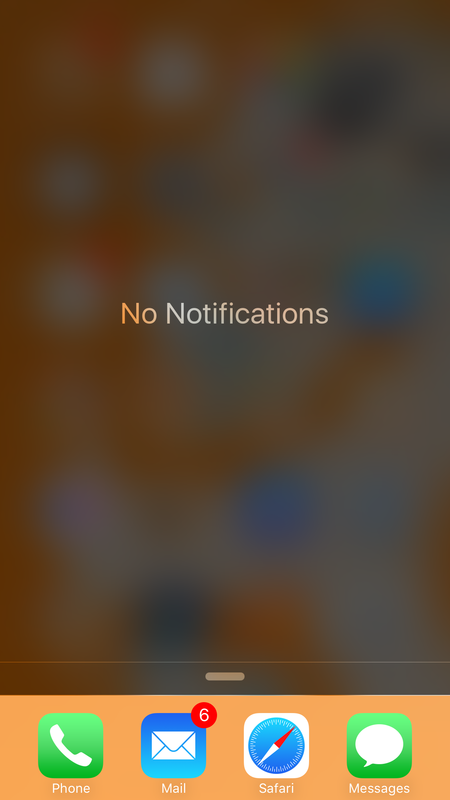 Under Notifications itself you could have yet another row of columns to pick for sorting the notification objects. Being able to sort by time and date vs sorted by app vs combination app and date are very useful choices. That’s real message management like you have with email. Notification Center is still missing stock sharing panes that were removed in iOS6. I’d love to see those social sharing panes come back. A few apps have similar widgets that appear in the notification center but they do not work the same way. While Notification Center is a great place to have widgets, the home screen itself can be too. I think it is reasonable to believe that Apple could allow widgets in the place of icons in 1×1, 1×2, 2×1, 2×2, etc layouts while following the same rules that the Apple Watch icons have of only updating about once an hour, to avoid draining your battery. This works out very well for the home screen clock icon which even has a second hand that constantly animates smoothly as you see it on the screen, so it should be allowed for other app icons. I think a large square icon that can update live once per hour would still be better than the now static display of icons. the ability to custom place icons without snapping to grid in the current 3×3 folder layout or the 6×4 home screen icon layouts. the ability to tightly pack icons together into a row or pile of icons, scaling up for bigger sized displays from iPad mini all the way up to iPad Pro, that then expand when clicked. something more evolved than the current grid that would allow us to sort things the way we want and would let me switch between views of sort by date last used, the usual manual layout, sort by date last installed/updated, sort by last notified. folder tagging, more than just the name. Icons already have the little blue dot next to them for indicating the app has been updated, or an orange dot for TestFlight beta apps. How about allowing me to set a little green or purple square or triangle next to a folder to tag it in a fashion that is clear to me. We need the home screen to be closer to the more intuitive real desktop pile metaphor that we use in our daily lives. I don’t advocate the terrible photo pile of icons that old photo collage used to skeuomorphically emulate. I just want something more manipulatable. Launcher by Cromulent Labs has a great interface for resizing widget icons that could be adapted to the OS itself. Dragging icons around the page or across pages has also become a messy job that should be more painless. Mistakenly slide wrong and you have icons flowing into other pages. A move icon in another corner after a long press could let you accurately place an icon on another page without having to slide many icons back into place after a mistake. This post continues my list of iOS 10 features I want to see. Looking for my previous posts? Click here for part 1 or part 2. Recent releases of software and hardware keyboards for iOS have proven to be welcome new changes. The typing interface is powerful but still has more to go before it matches that which we expect in other keyboards. 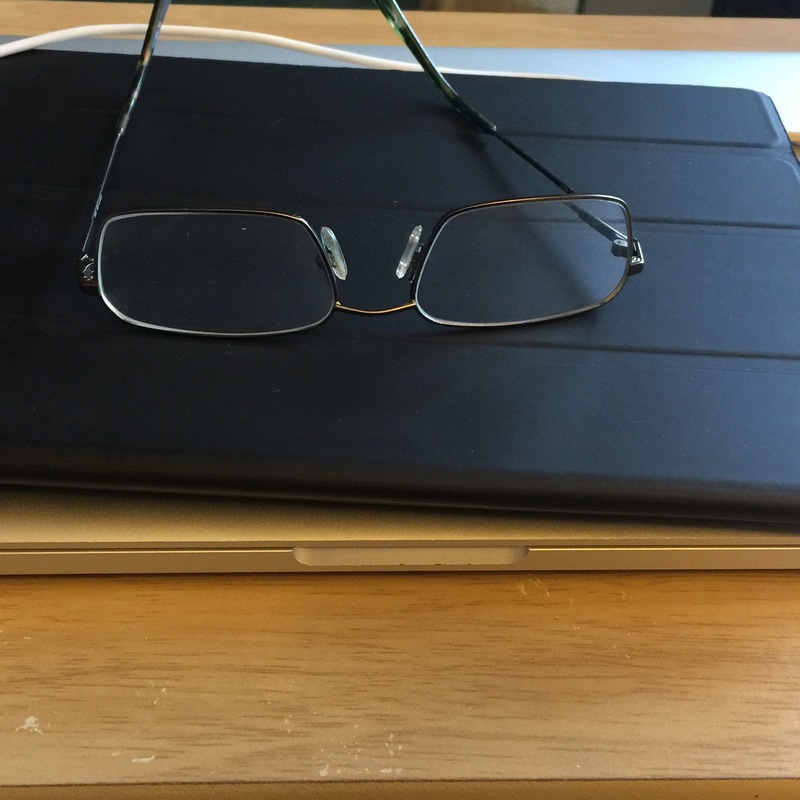 Just as alternate physical keyboards are needed for localization on desktops and laptops, there should be customized keyboards for iPad that allow pro functionality such as trackpad and Esc key for a premium. I would say $269 for such a premium Smart Keyboard is a fair price vs $169 for the current Smart Keyboard cover. This would make iPad more like a Mac for those of us ready to make the switch to a true PC replacement. Citrix has even come out with the X1 its own mouse for working with remote desktops. Migrating from Windows can be less jarring if all the trappings are there for users to switch to more seamlessly. While the idea of working on Windows is scary for some, it’s a fact of life for many. The move to Apple was easy for me back in 2008 with the Mac Mini and then the MacBook – the move to iPad Pro should be easier. For third party software keyboards, access to transcription, the system dictionary, improved stability, and improved startup speed are sorely needed. Third party keyboards are so slow to start up, can crash more often, and do not allow you to immediately switch back to a specific keyboard unless it is the only third party keyboard installed. They also do not allow access to the system spellcheck, meaning every keyboard you use has its own dictionary to build for predictive typing. They are effectively (seems purposely) painful to use despite the noise Apple made about this welcome feature back in iOS 8. Apple either either ignored further development of third party software keyboards in iOS 9 or they originally intended to only provide enough functionality to shut up critics who claimed the feature was missing. Keyboards like Slash, Reboard and Touchpal offer great features but each seem to have one unique feature that the others do not and which cannot be combined in any way with the others. For instance, ReBoard can let you set the globe icon to require a doubletap to switch keyboards so that you don’t mistakenly get some other keyboard popping on your screen in the middle one typing frenzy, while Slash pops up a menu that let’s you access settings and switching. ReBoard has an emoji key and a function key in the top row, where Slash has only a function key that requires more typing to get to emoji (the next most common mobile use after the actual alphanumerics). ReBoard has access to network services like Dropbox and Google Drive. ReBoard also has a really cool swipe up feature on keys for alternate characters that keeps you from having to look for the most commonly used punctuation and alternate characters. Slash has themes and a dark mode while Reboard has themes and no dark mode. Note that the stock Apple keyboards already have some great features, but wouldn’t they be better with more? If there was some way to combine features of these and still keep it stable, I would use nothing else but the third party keyboard. At the moment I find myself switching right back to the stock system keyboard the moment I try going back to using one of those special features, reminded of how badly crippled that software is. Although it would increase the complexity, iOS keyboards are begging to be much more modular. The idea behind these is revolutionary and should be expanded. If I could have a row of small modular keys like Drafts 4 does to give me text manipulation and media management, I can build a system keyboard for use everywhere in all apps. I can imagine a keyboard using ReBoard’s swipe up idea that allows me to set the alternate characters you want, since everyone’s alternatives are going to be different. A gif search from Slash. Arrow keys from Drafts and Prompt. Etc. Requiring each and every developer to reinvent things like spell check is extremely redundant and wasteful. Denying access to important functions like transcription can be a real deterrent to using third party keyboards. Make this a revolutionary change that we can all use of to improve quick interaction with our device when we aren’t using Siri. Allowing physical keyboards some way to interact with these virtual keyboards would go even further. 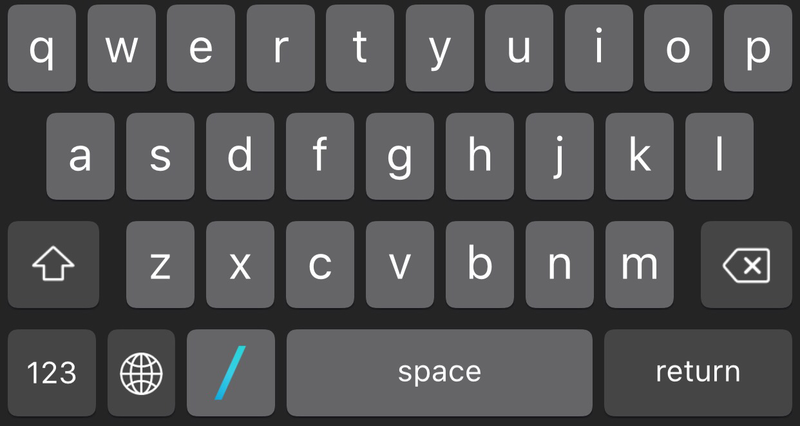 UPDATE 05-13-2016: Google has release GBoard which has some of the great features of the other third party keyboards listed. The argument then becomes, why does’t Apple now evolve the keyboard to allow these features that everyone is trying to put forth. Google’s opportunistic play at grabbing searches is obvious now that iPhone no longer comes with Google Search by default, but the idea of search from the keyboard as a point. UPDATE 05-14-2016: The always-brilliant Federico Viticci has posted a fantastic summary on third party keyboards, the problems they still face, the reasons for Apple’s restrictions, and some great ways that Apple can let developers work around the limitations to improve them all. For iMessage, bringing Apple Watch style Digital Touch drawing would be a cute addition. These are touch devices at heart and drawing is one of the best ways we communicate via touch. Stickers are a big deal in all the messaging apps, cute or not. A modular stickers capability could give designers more opportunity in the app market. “Anyone can make stickers” is as valid as saying anybody can paint a painting. Just like with the App Store, you are guaranteed to get some poor quality content. The better quality items will always come shining through, however. A picture could really be worth a few thousand words here. iMessage has some real issues cross platform especially when it comes to SMS support. There are times where I have deleted a conversation on my phone, yet it still appears on my iPad, and as unread to boot. Even rarer but still annoying is when it happens on the Apple Watch. We know that those green bubble texts are not actually a part of iMessage, but in displaying them Apple now owns the handling and it looks sloppier than what we expect. This post continues my list of iOS 10 features I want to see. Click here for the first part. Other parts will be posted leading up to WWDC 2016. This could be seen as a continuation of the Maps topic but I want more location features. If Apple is so concerned with their customers, allow more people to define when they are in their car than just those that buy into CarPlay. I own an Automatic OBD2 Bluetooth device and it would be great if the iPhone understood that when I am in very close proximity of the adapter, I am driving in my car. Triggering specific actions for travel as if you would for an iBeacon would save time: open my Plex Music and start my favorite playlist, automatically open Maps if I have an appointment in my calendar, set my favorite stations when I’m driving my car but set my wife’s favorite stations when she is, allow notification via text/iMessage or third party app when I arrive at a location or if I’m running behind, allow that notification if I arrive at a travel hub such as a train station or airport, if I arrive at a train station and have an appointment scheduled then send me to the URL I’ve defined for a train schedule, etc. Proactive Siri seems like the right tool for this but would it be able to handle location triggers without killing your battery? I also work in two locations for the same company, alternating between sites on an irregular schedule. Both should be defined as “Work” but for most software that only means one single address. Allow more flexibility since even in the above example, a family can have more than one car. Maybe I also have a vacation home or visit my parents home, places that I would stay at more than a couple of days at a time and could use some automation triggers other than an alarm clock and reminders. Improving safety between locations is also within the power of handset manufacturers. There has to be a way to strongly suggest that customers driving in cars stop texting. Shocking photos like those posted on cigarette packs in other countries in dialog boxes would be too strong, but making the phone’s use annoying at certain speeds would be a real life saver; obviously the logic behind that would be a hard problem given that it would also annoy commuters. For instance a bus or train car full of people could be within a box defined by beacons as being passengers but a car would be required to beacon so that you have to correctly identify as passenger or driver under penalty of law. Here is a beautiful example of tech used to enumerate objects within a vehicle using Bluetooth. Siri Eyes Free is a step in the right direction but a physical button still needs to be located on the steering wheel. Studies show that anything requiring interaction with something physical in the car takes seconds away from the average driver, seconds that can be disastrous at high speeds. Muscle memory cannot always be counted on since every vehicle still insists on unique layouts of wipers and turn signals and paddles. A voice activated system is still the best solution not only because being conversational is more subconscious but because it is also something a passenger can participate in as a copilot rather than always have the driver putting lives at risk. Our handheld friends are great devices that we are all obviously addicted to, but we have to smarten up and let ourselves be guided in this case. Another long standing omission is not allowing contact groups to be managed from iOS. The great app Interact came about to help with that missing feature although there have been many apps that have attempted to fix this over the years. Right now you really only have the Favorites group (for allowing calls through from Do Not Disturb) or the VIP group (for those special people in your email inbox) unless you go into iCloud.com or your Mac to manage contacts. That seems like a crippling speed bump to anyone’s workflow if they never sync their mobile device, are mobile-only, or just don’t have a Mac. That sounds like a corner case but it really is a majority of iPhone users. Contact duplicates are also a pain. Somehow between all the different mail systems I use (iCloud, Gmail, Yahoo, Exchange, Hotmail) I end up with duplicate contacts that I occasionally review and Link. This is a total waste of time now that my contacts number in the thousands after 20 years in IT. I would love for something like LinkedIn to come along and intelligently manage my contact updates but the fear of them spamming everyone in my address book again still lingers. Improve on the idea of LinkedIn by bilaterally recommending a contact based on sets that others I may know: you have a sales person in your contacts but not the technical engineer that works with him. Just don’t turn it into a giant cold call sheet like LinkedIn has become lately. With circles of friendship or defined relationships you can start allowing certain groups of people access to your free/busy time (and your calendar details if you so choose), contact sharing, media sharing. Wouldn’t it be great if this linked into Facebook permissions somehow? That would be a great place to start since it’s a mature permissions standard. Otherwise if there is no further development for Find My Friends, it has to be one of the dumbest wastes of time Apple has ever made. Apple may not realize this, but I do have friends that have Android devices. I would like to share photos with these non-Apple people, despite their judgement in choice of mobile devices. Currently Flickr and Facebook fill this role for me but they are separate from where I take my photos. Experiments like Facebook’s Moments really show that we are still struggling to figure out how and where we want this to be controlled in a manner simple enough for most to understand. Sharing from iOS 9 into these services is great but it is only a one way flow, and there is no real management going on. Something like this should hook into other social media where we save photos, to aggregate our media: Flickr, Google Photos, Facebook, Twitter, etc to aggregate our images into one view and work with some of the mature controls such as Facebook’s friend permissions for family and acquaintances. This leads us right to more collaborative album sharing where photos taken by people at the same event can be grouped to provide even more dimension. Find My Friends could hook into this to become more useful by managing contacts in a role sense and give some security to where we allow this all to flow. Is that too much for the average user to understand? The confusion surrounding Facebook’s permissions may suggest that is sometimes the case. This can be solved by “interviewing” the user with a sharing wizard and settings some rules managed by some AI: I have kids so do not show photos with kids to anyone outside my immediate family or my closet circle of friends; these are photos at my office, it’s ok to share with coworkers; these are pictures of forms that have health data picked up by OCR so share with nobody. Additionally, Apple should see that sharing with Android users is another avenue for connecting to Android users to bring them into the Apple fold. Just as Google Photos is available on the iPhone, an iCloud Photos app on other platforms is not a bad idea.